Well this is a bummer. 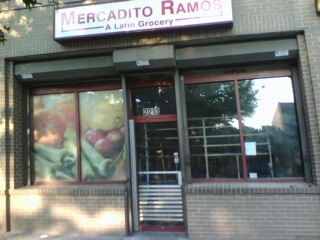 Mercadito Ramos, a Latin grocery store on 14th between Florida and W, was a great place to stop in for cheap produce and Latin ingredients. It appears to have completely closed about a week ago. The take out place next door closed and reopened a few blocks away a few months ago – which makes me wonder if there is development slated for the building they both resided in. However, I haven’t heard any word on developing that address, though there are condos slated to go in the lot at 14th and Florida and of course there is the YMCA development next door at 14th and W.
I am still having a hard time believing that the U Street Movie Series is already starting up tonight. Tonight, weather permitting, they will be showing the short This Chair is Not Me and the feature Mr. Smith Goes to Washington at Harrison Field at 14/V. The theme this year will be movies celebrating DC. As with last year, gates open at 7 and free popcorn will be served to the first 100 moviegoers. The movie will start at sundown. If tonight gets rained out, the movie will show on Thursday. The full schedule for this summer is below, and while it’s nice to see more family friendly movies, I wish they had chosen some more quality features. Night at the Museum? National Treasure 2? Really? 14thandYou reports that it the Italian Shirt Laundry, which was supposed to come to the vacant dry cleaners at 14th and Q, is no longer. It seems that the project has been abandoned because of unexpectedly high cleanup costs. Bummer – no word about what could come to the space now. The good news is, the Italian Cinema restaurant slated for further down on 14th street is still a go. 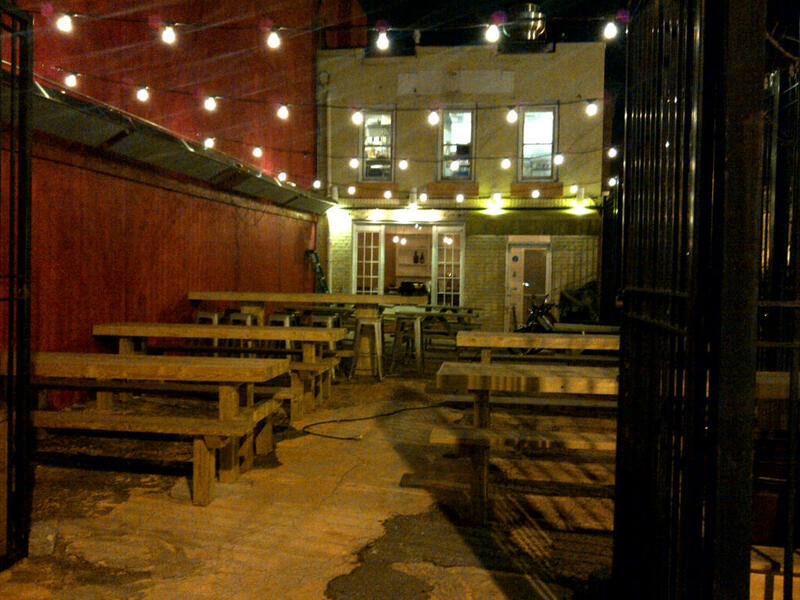 Prince of Petworth reports that Dodge City has applied for garden seating. No word on exactly where this garden seating will be. They’ll be opening garden seating behind the first floor bar. PoP also reports that a restaurant is coming to the long vacant postal office at the corner of 14th and T (no not the one that is about to close on 14th street – this one is on T street proper). The restaurant will appropriately be named “the Post Office Bistro.” The owners describe the restaurant as a casual and relaxed bistro serving an extensive weekend brunch. They plan on sidewalk and summer garden seating. And a reminder for you taco fans, El Centro D.F. – coming to 14th and S street, looks pretty poised to open by its promised Cinco de Mayo opening date. This isn’t really the post I wanted to write, apologies for being absent – my life has been a bit crazy lately. If you haven’t heard, there was a shooting yesterday afternoon at the corner of 14th and V. Two young men, Marquette Hunter, 19, and Devon Norace, 20, were shot in the leg/ankle area in what appears to be a drive-by-shooting that was related. Police are reportedly looking for a dark blue, late model Honda or Camry in connection with the shooting. The area was shutdown for a few hours yesterday afternoon for the investigation, but since then everything has been reopened. I will update if more information becomes available. Thanks to reader Ron for sending this picture in. 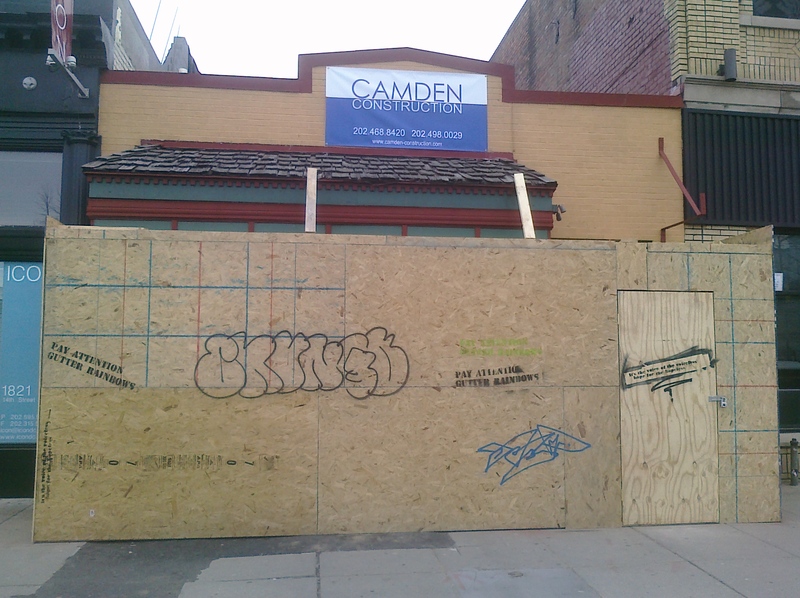 It looks like a lot of progress has been made at the forthcoming burger spot opening in the old Garden District space at 14th and S. They have benches out and seems like some work has been done on the inside. Plus they have those lights strung up. After all the trouble the place was having opening up, I’m glad to see progress. I would probably hedge my bets that they’ll be open once warmer weather is here to stay.